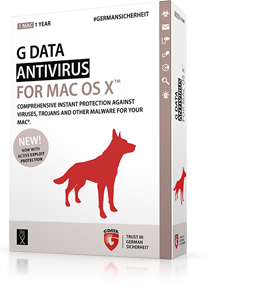 G DATA ANTIVIRUS FOR MAC offers special protection against viruses and phishing attempts for your Mac running OS X®. 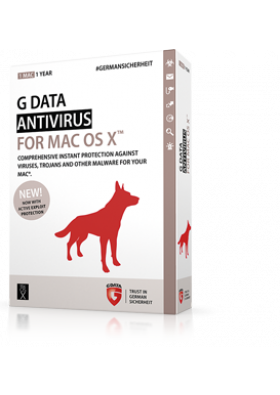 Not only does it proactively protect against Mac viruses, it also provides additional protection for Windows PCs connected to your network (these hybrid networks of both Windows and Mac devices are also increasingly common in private households). Integrated phishing protection also blocks websites that try to spy on data.